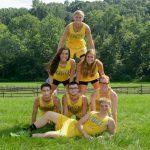 Multiple Teams · Aug 16 Wyman & Dolph and Fleetwood and Wyman Win BCXC Meet. Just in from XC “Medal winners and boys place 3rd out of 30 plus schools. 10 points out of 1st place.” BCHS XC ROCKS!